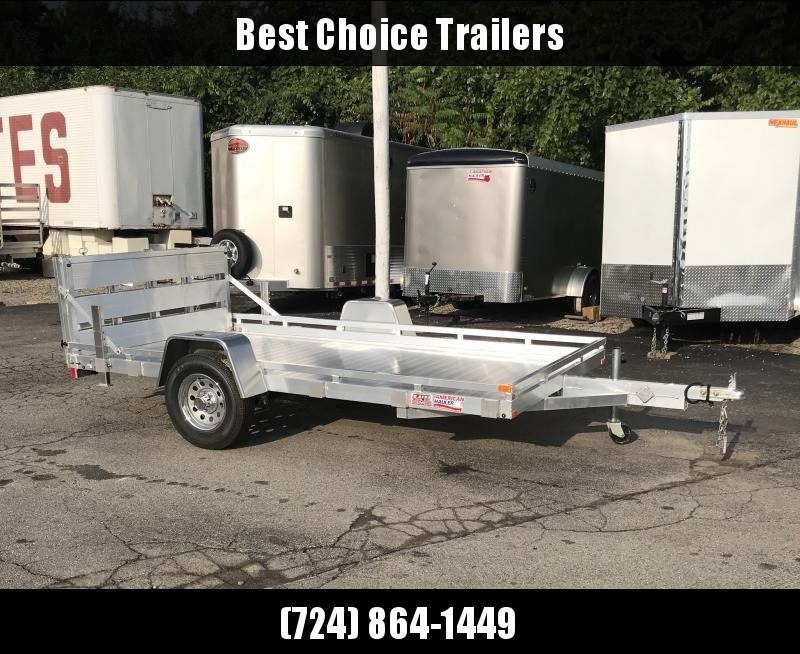 2018 American Hauler ALFA7712SA Flat Deck Aluminum trailer also has an aluminum deck. 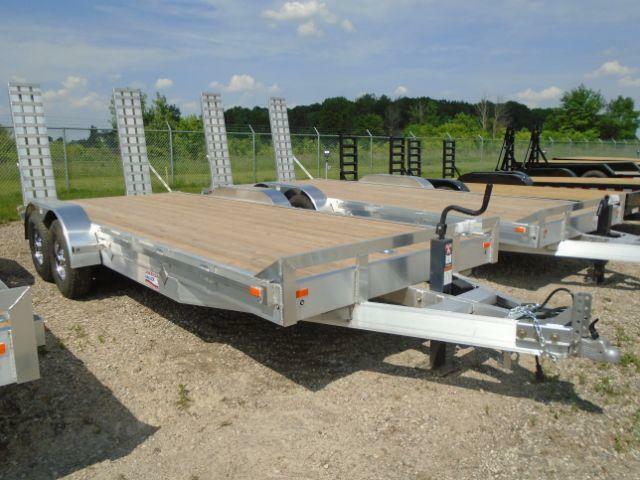 2018 American Hauler 8X20 Equipment Hauler Flat Deck with (2) 7000 lbs Axles. 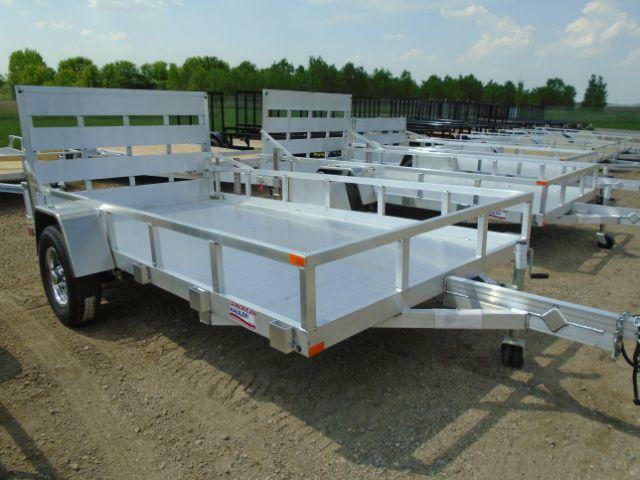 American Hauler 7x12 Aluminum utility trailer with aluminum gate and deck. 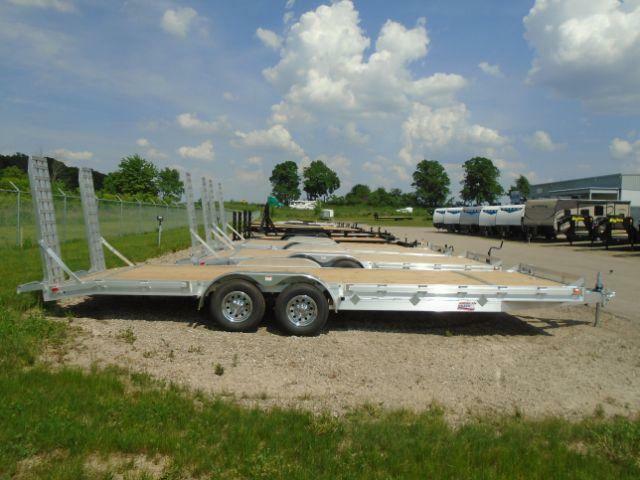 #3500 Axle leaving you a payload capacity of #2800.